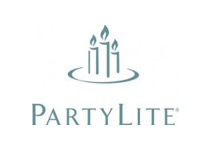 Partylite is the world’s largest direct seller of candles, candleholders, and home accessories. During her “Create on Purpose” keynote, SparkFire founder Chris Fagan engaged a packed room of sales consultants eager to learn how to use creative thinking to help their business. Through her dynamic style and hands-on exercises, Chris provided practical ideas for how to break out of conventional thinking, build sales, and create a tribe of loyal customers.